When BC Tree Fruits launched its Broken Ladder brand of apple cider last year, it made the intelligent decision to have winemaker Bertus Albertyn make the cider. Bertus is one of the owners, and the winemaker, at Maverick Estate Winery (midway between Oliver and Osoyoos). Trained in South Africa, Bertus is a very fine winemaker. It turns out that he also is a fine cider maker. Broken Ladder is on the market this year with three ciders - two made with apples and one with peaches. This year, the cans bear the signature of Bertus Albertyn. All bear the imprint of his style - the ciders are professionally faultless. And they are good value, selling for $10.99 (plus tax) for a four pack of 473 ml cans. Broken Ladder Apples & Hops: By adding a dash of hops to the flavour, the winemaker has added considerable complexity to this crisp cider. The clean apple flavours have been enhanced with a note of bitterness. This is the cider for IPA drinkers. 89. Broken Ladder Pears: This is a crisp and refreshing cider. It has aromas and flavours of pear, as one would expect, with a hint of citrus to give it a tangy finish. The active bubbles add to the lively texture and flavour. The finish is dry. 90. A trademark conflict is causing vinPerdu Cellars of Oliver to change its name to vinAmité Cellars. Proprietor Ray Coulombe (ironically a former advertising executive) is rebranding to avoid confusion with Napa Valley wine called Vin Perdu. Trademark conflicts are nothing new in the wine industry. Several recent examples come to mind. Alderlea Vineyard on Vancouver Island released a red several years ago under the brand, Fusion. The winery seldom produces more than 100 cases of this each year. Subsequently, an Argentina winery launched a hugely successful wine under the name, Fuzion, selling thousands of cases across North America. Rather than take a David vs Goliath stand, Alderlea’s owner, Roger Dosman, simply sold his brand to the Argentinians and renamed his wine, Matrix. In the Okanagan, Prudence Mahrer launched Ruby Tuesday Winery in 2009, naming the Naramata Road producer after her favourite Rolling Stones song. Unfortunately for her, there already was a massive restaurant chain in the United States (with one outlet in Niagara Falls) called Ruby Tuesday. When their lawyers wrote Prudence, her first instinct was to fight them. However, financial prudence prevailed and she switched her winery’s name to Ruby Blues. The name change appears not to have had any impact on the throngs of consumers in the winery’s parking lot. Bertus Albertyn, the winemaker and co-proprietor at Maverick Estate Winery, has had lightning strike twice. He called his flagship red blend Rubicon even though a California winery had operated as Rubicon between 2006 and 2011 when the owner, Francis Ford Coppola, changed it to the historic name of Inglenook. Bertus got no kickback from Coppola about Rubicon. However, Meerlust Estate in Stellenbosch, South Africa, also has a red called Rubicon which, according to South African wine writer John Platter, is “among SA’s original Bordeaux-style reds.” Having trained in Stellenbosch, Bertus would have been aware of the wine but also counted on the fact that Meerlust is not in this market. Then Meerlust had a recent ownership change and the new owners took a more aggressive stance on protecting the brand globally. Maverick changed the name of its wine to Rubeus. To paraphrase Ray Coulombe, nothing else has changed: it still is one of the best red wines in the Okanagan. Bertus also named Maverick’s port-style wine Sofia, after one of his children. This time, he heard from Coppola, who has a line of wines in California under the Sofia label. Bertus now calls his wine Fia. Even a wine writer can get tangled in trademark issues. I was once dragged into a dispute between an Okanagan winemaker no longer in business and an Oregon winery called Sokol Blosser over a trademark called Evolution. The Canadian producer had trademarked a package, not a wine, as Evolution. When he tried to get Sokol Blosser to cease and desist, the Americans hired a crackerjack trademark lawyer to research how actively the Canadian was using the brand. The lawyer phoned, among others, several wine writers. I don’t know what others said. I did not think the Canadian Evolution was still in the market. In fact, I had to be reminded that the package had won an award in 2005 at an industry lunch I attended. The Canadian winery owner was incensed that I had, without meaning to, undermined his case against Sokol Blosser. He never spoke to me again. The Fort Berens Estate Winery arguably is one of the most important developments for the sleepy town of Lillooet since 23 camels arrived in 1862 as pack animals during the Cariboo gold rush. That did not end too well. Smelly and bad-tempered, the camels spooked the other animals and were finally abandoned by their owner. The episode was not forgotten. When a bridge was built across the Fraser River in 1981, it was called the Bridge of the 23 Camels. And soon after Rolf de Bruin and Heleen Pannekoek founded the winery in 2008, they named two of their blends 23 Camels. That recalls a time when Lillooet, with a population of 15,000, was the second-largest settlement north of San Francisco. While those glory days vanished when the gold was exhausted, the development of winegrowing here has definitely breathed life into the town. The first, and still the only winery in Lillooet, Fort Berens has become a thriving business. The modern winery built several years ago includes an excellent restaurant. The food and the wines have begun to turn Lillooet into a destination for wine lovers who like to explore off the beaten path. The chef sources much of his food from local farms, surely a boon to the area’s agriculture. In this vintage, Fort Berens plans to produce about, 9,000 cases of wine. At full capacity, the winery can make 12,000 cases a year. The 20-acre vineyard, planted in 2009, is now well-established. There are plans to plant another 20 acres in a few years. The winery is also extending its portfolio. This fall, an ultra-premium blend called Red Gold will be released, a partner to the ultra-premium Chardonnay called White Gold. As well, the winery has made trial wines with grapes from its 25 Grüner Veltliner vines. The two and a half cases made in 2014 show this white variety has considerable promise. Here are notes on recent releases from Fort Berens. Fort Berens Riesling 2015 ($16.99 for 1,184 cases). This estate-grown Riesling is refreshing, with aromas of and flavours of lime. A long, cool ferment preserved the fruity flavours while an excellent balancing of the residual sugar against brisk acidity led to a zesty finish. 91. 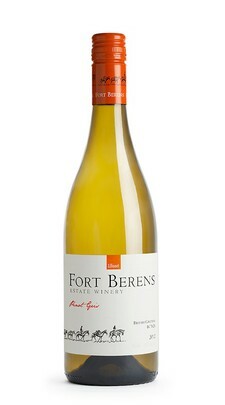 Fort Berens Pinot Gris 2015 ($16.99 for 614 cases). A small portion of this wine was fermented in neutral oak and put through malolactic fermentation to add a fleshy texture and complexity to the wine. This begins with citrus aromas leading to flavours of apples and peaches. There is a hint of anise on the finish of this generous wine. 91. Fort Berens White Gold 2014 ($25.99 for 213 cases). This full-bodied Chardonnay is made with grapes from the Similkameen Valley. The wine was fermented and aged 10 months in older barrels. It has buttery citrus flavours reminiscent of fine marmalade. 90. Fort Berens Grüner Veltliner (not released). This is a delicious white with a core of tropical fruit flavours that linger on the palate. The texture is full but the finish is dry. 91. 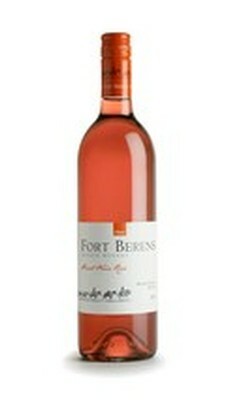 Fort Berens Rosé 2015 ($17.99 for 352 cases). This is 56% Pinot Noir and 44% Merlot fermented primarily in stainless steel (a small proportion was fermented in neutral barrels). Juicy in texture, the wine has aromas and flavours of strawberry and pomegranate. The wine is balanced to finish dry but the tiniest hint of sweetness. 90. Fort Berens Cabernet Franc 2013 ($24.99 for 1,045 cases). This begins with a glorious aroma of red berries mingled with chocolate. On the palate, there are flavours of black cherry, black currant and blackberry. 90. Fort Berens Meritage 2013 ($23.99 for 1,246 cases). This is 60% Merlot and 20% each of Cabernet Sauvignon and Cabernet Franc. The wine has rich, even earthy flavours of black currant, black cherry and chocolate, with a hint of vanilla. 91. Bernd and Stefanie Schales, the owners of 8th Generation Vineyard, had drafted the plans in 20o7 for a winery at their vineyard near Okanagan Falls when a major setback occurred: they could not find a contractor to build it in time for that fall’s vintage. “Then in July 2007, this one came on the market,” Stefanie told me in 2008. She was referring to a cavernous building set in a vineyard beside the highway south of Summerland. It had opened in 2003 as Adora Estate Winery. When Adora’s two founding partners had fallen out, one moved the winemaking equipment to a packing house on Black Sage Road and the other put the empty plain Jane building on the market. They scrambled to put in their own winemaking equipment and to modify the building with, among other changes, a utilitarian wine shop. One of strengths of the facility was a location visible to drive-by traffic. Most of 8th Generation’s annual production of 5,500 cases can be sold directly to passing consumers. This spring 8th Generation increased its appeal to those consumers by replacing the wine shop with a tasting room in the character house (circa 1942) on the property. The house was part of the package that Bernd and Stefanie (below) bought in 2007. For a number of years, it was rented to tenants. With the application of Stefanie’s drafting skills, the old house has been turned into an elegantly rustic wine shop beside a garden with a picnic license. The windows behind the tasting bar look out towards the garden. The interior has been stripped to expose the original wood. Some interior walls were removed (steel beams now hold up the roof) to create a large, airy tasting room. The old fireplace has been refreshed to become part of the décor. The difference between this and the former airless wine shop is dramatic. The former had all the romance of a hardware store. The new wine shop has the feel of a charming country inn. In an added touch, the white-tiled steps leading into the shop bear the names of ancestors of the owners, underlining the winegrowing heritage in Germany of Bernd (eight generations) and Stefanie (10 generations). Before coming to Canada, Bernd, who was born in 1972 at Grünstadt in the Pfalz and trained at Weinsberg, had spent nine or 10 years managing a vineyard for his family’s Weingut Schales in Flörsheim-Dalsheim. When he and Stefanie had decided to strike out on their own, they considered opportunities in South Africa, New York State and Ontario before being seduced, during a vacation, by the Okanagan’s beauty. In 2003, they bought an established 10-acre Okanagan Falls vineyard with a breathtaking view of Vaseux Lake. Subsequent purchases enabled them to increase their vineyards to 25 acres, including the Summerland vineyard and one on Naramata Bench. Their picturesque original vineyard, where terraced vines wrap around the base of the slope, was planted in 1985. It includes a four-acre block of Riesling. The variety is obviously familiar to Berndt and Stefanie. It is also the signature variety for 8th Generation’s wines and is produced in three or four different styles, depending on the vintages. The 8th Generation wines are made primarily with estate-grown fruit. Here are notes on the wines currently available in the 8th Generation wine shop. 8th Generation Pinot Gris 2014 ($17.39). This is the last vintage of Pinot Gris from this winery, for two reasons. Stefanie thinks the market for that variety is overcrowded. More to the point, the grapes are needed for the winery’s two sparking wines. This Pinot Gris, 20% of which was fermented in barrel to enrich the texture, has flavours of citrus and pear. 88. 8th Generation Chardonnay 2014 ($19.15). This is a barrel-fermented Chardonnay with very subtle oak framing the bright flavours of apples and citrus. 90. 8th Generation Riesling Selection 2015 ($24.78). This is the winery’s premium Riesling made only in the best vintages with grapes from a carefully selected block at the Okanagan Falls vineyard. The wine is fermented with wild yeast. The complex aromas have just begun developing (the winery recommends decanting Selection for about four hours to let it open up). On the palate, lime flavours wrap around the mineral notes. The texture is rich but the finish is dry. 92-94. 8th Generation Riesling Classic 2015 ($18.26). This is another dry Riesling, beginning with aromas of lemon and flavours of green apples. The finish is tangy and refreshing. 91. 8th Generation Riesling 2015 ($18.26). This a Riesling where a touch of residual sweetness propels the lemon/lime aromas. On the palate, there are flavours of peach mingled with a hint of grapefruit. 91. 8th Generation Integrity 2015 ($20). This frizzanté-style wine is 52% Chardonnay, 30% Pinot Gris and 18% Kerner. Balanced almost dry, this refreshing wine delivers flavours of citrus, apples and peaches with a good display of bubbles. 90. 8th Generation Confidence 2015 ($20). This frizzanté-style pink wine is a fruity blend of 90% Pinot Noir and 10% Pinot Gris. It has aromas and flavours of cherry and strawberry with a hint of sweetness on the refreshing finish. 90. 8th Generation Pinot Noir 2014 ($21.30). This has aromas of strawberry and cherry that are echoed in the flavours, along with class forest floor/earthy complexity. The wine has begun to develop a silky texture. 90. 8th Generation Cabernet Merlot 2014 ($20.86). Still youthfully grippy, this wine – which is 80% Merlot) begins with appealing aromas of cassis and blueberry. On the palate, there are flavours of black currant, black cherry and blueberry. 91. 8th Generation Syrah 2014 ($21.74). This wine has notes of pepper in the aroma and on the palate, along with flavours of plum and cherry. 90. 8th Generation The Red One 2015 ($19.15). This juicy summertime red is an unoaked blend of Merlot and Syrah. Just brimming with cherry flavours, it is a soft, chewy red best chilled before serving. 88. 8th Generation Late Harvest 2013 ($14.35 for 200 ml). Made with botrytis-affected Chardonnay, this has honeyed tropical fruit aromas and flavours, including apricots. Very well-balanced, this desert wine dances on the palate. 91. 8th Generation Syrah Icewine 2010 ($52.10 for 375 ml). This wine was aged for three months in French oak, adding complexity to the rich tropical flavours of quince and plum and marmalade. The wine manages to be sweet and savoury at the same time. 94. Along with the samples of SpierHead’s trio of 2015 white wines come the news of modest expansion at this East Kelowna winery. Winery president Bill Knutson announced that two acres of old apple orchard were removed this spring, making room both for a new building and for more vines. As well, the winery is planting two more acres elsewhere on the property, taking the area under vine in the so-called Gentleman Farmer Vineyard to about 15 acres. Bill does not say what varieties are being planted but it would be one of the three already growing there. The major variety is Pinot Noir. There is also Riesling and Chardonnay. Of course, SpierHead also has grapes from other sources. It has a long-term contract with the Golden Retreat Vineyard in Summerland. “For the last couple of years we have been buying some Pinot Noir from a Summerland vineyard owned by a very conscientious grower named David Kozuki,” Bill told me last year. “His vineyard is called Golden Retreat.” The 2015 Pinot Gris also is from Golden Retreat grapes. The estate vineyard is called Gentleman Farmer to reflect the urban background of two of the founding partners. Bill is a Vancouver lawyer while Bruce Hirtle is a semi-retired investment dealer with Okanagan roots. The 24-acre property, a former apple orchard, has been redeveloped gradually as vineyard since 2008. The winery opened in 2010 with a portfolio that included Bordeaux blends from grapes grown on Black Sage Road. The last vintage of Bordeaux reds was made in 2013. SpierHead’s future rests with Pinot Noir and other cool climate varieties. I don’t think there is any doubt of that, based on the most recent SpierHead Pinot Noirs that I have tasted. Meanwhile, here are notes on the three 2015 whites. SpierHead Chardonnay 2015 ($22 for 278 cases). Here is an elegant Chardonnay that is both complex and refreshing. It begins with citrus and apple aromas. On the juicy palate, there are flavours of peach and apple, with a hint of minerality. One-third of this wine was aged in barrel, two-thirds in stainless steel. The winery increased the use of new oak with the intention (quite successfully) of building a bigger, more Burgundian wine. 92. SpierHead Pinot Gris 2015 ($19 for 1,100 cases). This pale straw-coloured wine begins with aromas of citrus. The nose is still developing. You will not be disappointed of you let your bottles rest another month or so. On the palate, the peach and pear flavours of luscious. Good acidity makes for a refreshing finish. 90. SpierHead Riesling 2015 ($20 for 234 cases). The wine begins with aromas of citrus and a hint of the petrol that will develop with age. In fact, this a good candidate for cellaring two or three years to allow the concentrated flavours of lime and grapefruit to express themselves fully. The finish is crisp and dry. 90-92. One suspects that wineries are finding ways around this issue. Laughing Stock, after all, had a brief offering of free shipping to celebrate Canada Day. It has been four years since a private member’s bill was passed in the House of Commons, allowing the free shipping of wine across provincial boundaries. Of course, Ottawa has no jurisdiction over liquor marketing in Canada. The federal government, under pressure from the temperance forces, wiped its hands of the issue more than a century ago by turning over the responsibility to provinces and their liquor monopolies. There has been some recent and ongoing litigation to break down the borders. So far, Ontario and several other provinces still insist that wines shipped into the province must pass through the tax-grabbing hands of the Liquor Control Board of Ontario. So if an Ontario consumer wants to order directly from an out-of-province winery, he or she is still in violation of the law; and the shipping winery is taking a risk. Yet the Three Amigos toasted free trade and other matters with some BC wine, irony of ironies. I suspect that Laughing Stock’s BC consumers are of two minds about the issue. They would love to have other Canadians enjoy the wines … except that there is not that much to go around. We could easily drink it all in BC. Laughing Stock Pinot Gris 2015 ($19.99 for 470 cases). The wine begins with a light straw colour; there was no skin contact. Half the wine was fermented in neutral French oak, 30% in stainless steel and 20% on concrete eggs. The wine begins with aromas of mandarin orange and stone fruit which are reflected on the palate. The texture is rich and creamy, with a bit of warmth on the finish from the 14.5% alcohol. This is a wine for food, not for casual sipping. 90. Laughing Stock Viognier 2015 ($22.99 for 469 cases). This was fermented 40% in stainless steel, 40% in neutral oak and 20% in concrete eggs. The wine begins with mandarin orange aromas and goes on to flavours of ripe apricot. The texture and the flavours are rich and concentrated, offsetting the 14.9% alcohol. Good Viognier is always going to be this ripe and rich. 91. Laughing Stock Blind Trust Red 2014 ($26.99 for 1,530 cases). The blend is 42% Malbec, 24% Merlot, 23% Cabernet Sauvignon and 11% Cabernet Franc. The wine was aged 16 months in oak. Dark in colour, it begins with dramatic aromas of spice, plums, and even licorice. On the palate, it delivers flavours of plum, black cherry, blackberry and chocolate. The long ripe tannins give the wine a generous and lingering finish. 92. Laughing Stock Syrah 2014 ($33.99 for 770 cases). This dark, fruit-driven wine was fermented 70% in stainless steel, 20% in a French oak tank and 10% in French oak puncheons. There is 3% Viognier in the blend. The wine was aged 16 months in French oak (45% new). The wine begins with glorious aromas of plum, black cherry and vanilla. These are echoed on the rich palate along with savoury hints of sage, black pepper and dark chocolate. 92. Burrowing Owl Estate Winery is one of the most seasoned wine producers in the Okanagan but that does not mean it stands still in the pursuit of excellence. A case in point is the winery’s 2015 Sauvignon Blanc. Another is the winery’s 2014 Chardonnay. The winery has made Chardonnay for much of its history. In 2013, at the instigation of a winemaker there just for that vintage, the winery began trial ferments with eight or 10 different yeasts. That continued in 2014; by 2015, the winery had begun to settle on a handful of yeasts yielding preferred flavours and elegance to the wines. The first vintage of Sauvignon Blanc at Burrowing Owl was 2011. Initially, the winery aimed for a Sauvignon Blanc made in the austere Bordeaux style by deliberately picking some grapes at full maturity. At the same time, for its more moderately-priced Calliope label Sauvignon Blanc, the winery picked grapes earlier to make a fresher, crisper wine. Yet another case in point is Pinot Noir. Several years ago, the winery planted a new block of Pinot Noir with clones 666, 667 and 777. When those vines were established and were producing superior fruit, the winery pulled out its original block of own-rooted vines. The outcome is arguably better Pinot Noir than Burrowing Owl was producing. The little tweaks from vintage to vintage are not necessarily obvious. Especially with its red wines, there is a notable consistency from year to year, even though Burrowing Owl has changed winemakers several times. The one constant since 2006 has been the employment of French consultant Alain Sutre, who offers advice in the cellar and at blending time (and very likely in the vineyard from time to time). One crucial constant, Chris Wyse maintains, is that the red wines are made from the same vineyards each year: the estate vineyard and another owned by the Wyse family in Osoyoos. The fruit flavours and structure from these vineyards are ideal complements to each other. Burrowing Owl Pinot Gris 2015 ($20). The wine is crisp and fresh, with good weight on the palate. It has aromas and flavours of pears, apples and honeydew melons; and the finish is dry. 90. Burrowing Owl Sauvignon Blanc 2015 ($25). The wine begins with aromas of herbs, grapefruit and pineapple. There is a tropical hit of pink grapefruit and pineapple on the mid-palate, with zesty, herbal citrus on the finish. There is a subtle hint of oak in the flavours, reflecting that half the wine was aged in French oak. There also is four percent Sémillon (co-fermented) in the blend of this elegant and complex wine, reminiscent of Sancerre. 91. Burrowing Owl Merlot 2012 ($30). The dark wine is firm, with aromas of black currant. One the palate, there are flavours of black currant, cola, coffee and dark chocolate. There is good weight and concentration, with a texture built for aging. 91. Burrowing Owl Merlot 2013 (Not released yet). Also dark in colour, the wine begins with ar0mas of black currant and blueberry. On the palate, the fruit is ripe and intense – black cherry, black currant, mulberry – but also vibrant, with spicy notes on the finish. The texture is firm. 92. Burrowing Owl Cabernet Sauvignon 2012 ($35). This wine begins with aromas of black currant with a hint of bell pepper. On the palate, the wine is firm and disciplined, even after 18 months in barrel, and has the potential to age splendidly. The personality is reminiscent of a Margaret River Cabernet Sauvignon. 91. Burrowing Owl Cabernet Franc 2013 ($33). This wine has such a dramatic brambleberry aroma that consumers are drawn in with the first smell. The appeal continues with the bright blackberry and cherry and raspberry notes on the palate. The texture is generous and the finish lingers. 92. Burrowing Owl Meritage 2012 ($45). The blend is 43% Cabernet Franc, 28% Merlot, 20% Cabernet Sauvignon and 9% Petit Verdot. The wine begins with aromas of spicy red fruit mingled with vanilla. On the palate, there are flavours of plum, black cherry and vanilla. The long ripe tannins give it a firm texture with potential to age. 93. Burrowing Owl Meritage 2013 (Not released yet). The blend is 39% Merlot, 28% Cabernet Sauvignon, 20% Cabernet Franc, 10% Petit Verdot and 3% Malbec. The juicy and generous texture of this wine reflects a warmer vintage and the leading position of Merlot in the blend. There are flavours of black currant, black cherry, vanilla and chocolate, with long ripe tannins on the spine. 94. It would be hard to find an Okanagan winemaker more passionate for rosé than Daniel Bontorin, a consulting winemaker whose clients include Volcanic Hills Estate Winery. His own label, Seven Directions, produces only rosé. For his own rosé, Daniel likes Pinot Noir. His flagship rosé is made from the organic Pinot Noir grown by Kalala Vineyard. “The 2007 Vaïla was from the Kalala Vineyard, so I knew the quality of the fruit,” he says. The two additional rosés from 2015 are made with Pinot Noir and Cabernet Franc, from two different vineyards. This vineyard, which is not organic but is farmed sustainably, has 11-year-old vines (a German clone and several French clones) growing on soil that is decomposed granite, sand and gravel. The production in 2015 was four tons an acre. The other is made with grapes from the Fruitvale Ridge Vineyard on Osoyoos. These are from seven-year-old vines on rocky soil. Production in 2015 was 2.12 tons an acre. Here are notes on the wines. The prices do not include tax. Seven Directions Fruitvale Ridge Vineyard Cabernet Franc Rosé 2015 ($14.69 for 260 cases). This wine is a surprise on the palate. The delicate rose petal hue leads one to expect a very light wine. On the contrary, there is good weight. It begins with delicate strawberry and cranberry aromas, leading to flavours of wild strawberry with a hint of peach. The finish is dry – just like a Provence rosé. 90. Seven Directions Canyonview Vineyard Pinot Noir Rosé 2015 ($21.65). The wine presents with a deep salmon pink hue. It has aromas of strawberries and savoury flavours of strawberry and cherry. The finish is crisply dry. 91. Seven Directions Kalala Vineyard Pinot Noir Rosé 2015 ($24.29 for 105 cases). This wine, which is vibrant in appearance, has had four months in French oak to build texture and complexity. It begins with aromas of strawberries mingled with spicy notes from the oak. On the palate, there are layers of strawberry and cherry flavours. The finish, which lingers, is dry. 91. In mid-June, CedarCreek Estate Winery justifiably trumpeted winning a major award at this year’s Decanter International Wine Awards in London. Kelowna, British Columbia (June 17, 2016) - CedarCreek is proud to announce that their 2014 Platinum Block 3 Riesling was named Best Canadian White Wine over 15£ at the prestigious Decanter World Wine Awards in London. Rated 95 Points, the win follows last year’s Decanter World Wine Award for their 2012 Platinum Block 2 Pinot Noir as Best Canadian Red Wine over 15£. Both Block 2 and Block 3 are located in the steep-sloped, CedarCreek Home Block Vineyard, where the aspect of the land creates even higher light intensity than is usual in the Okanagan Valley, an intensity only found in Central Otago, New Zealand. The Block 3 Riesling is the oldest block planted at CedarCreek and dates to 1991. The soil beneath the vines is composed of sandy loam with a clay base. Because of the age of the vines, the roots have now reached the clay layer from which they are able to extract moisture. As such, the vines receive little to no additional water during the growing season which is unusual in the dry, arid Okanagan Valley and only intensifies the site-specific nature of the wine. Looking for a career he was more passionate about, he studied winemaking at Brock University and got a job in 2009 at Hillebrand winery, a Niagara on the Lake winery with a major sparkling wine program. His boss was Darryl Brooker, who moved to CedarCreek in 2010. Taylor followed Darryl to CedarCreek in 2012 after acquiring additional winemaking experience in New Zealand and Australia. Taylor is interested specifically in cool climate grape varieties and in sparkling wine. CedarCreek Riesling 2014 ($15.29 for 2,200 cases). The wine begins with aromas of petrol and grapefruit. These are echoed in the palate, along with notes of lime wrapped around a spine of minerality. The finish is persistent. It is worth noting that this wine is the little brother of the 2014 Platinum Block Riesling. 91. CedarCreek Chardonnay 2014 ($16.99 for 2,260 cases). The wine begins with aromas of toasty oak mingled with pineapple. A long, slow and cool fermentation preserved the luscious fruit flavours (citrus, tangerine), lightly framed with oak and minerality. 90. CedarCreek Platinum Block 5 Chardonnay 2014 ($27.99 for 578 cases). This wine was fermented 30 days in a combination of French oak barrels, puncheons and concrete; and was aged oi the lees 10 months in concrete and 500 litre puncheons. The aroma begins with a bready note and then opens to display citrus. On the palate, there are complex and rich flavours of apple, pear and lemon. Bright acidity gives the wine a tangy finish and ability to age. 92. CedarCreek Pinot Noir Rosé 2015 ($19.99 for 510 cases). The wine begins with an appealing rose petal hue. The aroma is intense – cherries, raspberries – and lead to flavours of strawberry. The finish is balanced to dryness. 90. CedarCreek Pinot Noir 2013 ($22.99 for 2,810 cases). The wine, fermented 24 days in stainless steel and aged 13 months in French oak, begins with aromas of cherry and the complexity of what is sometimes called forest floor. It goes on to deliver spicy flavours of cherry and mocha, along with a silky texture. 90. CedarCreek Meritage 2013 ($20.99 for 1,600 cases). This is a blend of 36% Malbec, 35% Cabernet Sauvignon, 28% Merlot and 1% Cabernet Franc. It has been aged 22 months in French oak. The winery’s notes describe Malbec as the variety that “makes everyone around them better.” It is an apt term for one of the most useful varieties in the vineyard. Here, it provides a dark colour and dramatic aromas of violets, spicy dark fruit and blueberries that are echoed on the palate. The texture is rich. The flavours draw spice both from the fruit and from the very good oak. 92. Like most who review wines, the volume of samples is such that a reviewer who wishes to remain coherent cannot drink them all for dinner. It is not a solution just to dump the wines because most are too well made. The universal solution is for reviewers to pass on wines to obliging neighbours after having tasted them and made notes. I suspect we are popular with our neighbours. I also know that our neighbours occasionally buy wines they have been exposed to. One lucky neighbour got to finish the Jentsch Small Lots Cabernet Sauvignon 2014. He liked it so much that he said he would order a case, at least until he discovered the price. At $50 a bottle, it was outside his comfort zone. Once in a while, however, a wine lover needs to treat himself or herself to bottles like this. These are not wines for Tuesday night’s burgers. For most, these will always be special occasion wines. Amber Pratt, the winemaker at C.C. Jentsch, is making them in small volumes for your special occasions. She also gets to make large volume wines for everyday drinking – wines that consistently over-deliver. But when a special lot of grapes comes into the winery, winery owner Chris Jentsch, her boss, allows her to small lot wines that just turn heads. Consider how these wines have done at competition. The Small Lots Malbec was a double gold winner at the All Canadian Wine Championships this year. The Small Lots Cabernet Sauvignon won gold this year at the San Francisco International Wine Competition. The Small Lots Cabernet Franc won silver at the same competition. And the Small Lot Chardonnay was a bronze medalist at both these competitions this year. The problem with small lot wines is that they are not always easy to find. It may require a visit to the winery if, like my neighbour, buying case lots online is not in your budget. But always keep in mind that there is a reason why these wines are expensive. The winery is not gouging you. By the way, if you think these are expensive, check out the 2015 Bordeaux futures. You have not seen anything yet. I recommended that my neighbour might like the C.C. Jentsch Cabernet Merlot 2014, which is $15.60 a bottle and is widely available. It is my experience that producers of expensive wine also do a good job with their budget wines. It is all about protecting the reputation of the entire portfolio. Here are notes on current Jentsch releases. C.C. Jentsch The Quest 2015 ($17.90 for 328 cases). This delicious wine is a blend of 84% Chardonnay, 14% Gewürztraminer and 2% Viognier. It begins with aromas of citrus and melon, leading to flavours of melon, apple and pineapple. There is a delicate touch of herbs and spice on the finish. 90. C.C. Jentsch Small Lot Series Barrel Fermented Chardonnay 2015 ($35.90 for 98 cases). This wine was fermented in two-year-old French barrels for 15 days and then matured in those barrels another six months. As a result, the oak here is subtle, leaving the fruit to show well. It has citrus aromas and flavours of lemon and apples. The flavours have a pristine clarity and the finish is dry, with perhaps a hint of nutmeg from the time in barrel. 90. C.C. Jentsch Syrah 2014 ($29.90 for 511 cases). This full-bodied, brooding red is Syrah co-fermented with nine percent Viognier. The latter adds a floral note to earthy dark fruit aromas. On the palate, there are flavours of fig, black cherry, blackberry, dark chocolate and espresso with some black pepper. The winery says this has a “velvety” texture. The backbone seems firmer than that. It takes decanting to reveal the generous texture of the wine. 91. C.C. Jentsch Small Lot Series Cabernet Franc 2014 ($49.90 for 151 cases). This is a ripe and exuberant wine, with a spicy, brambly bouquet and flavours of cherry, raspberry and blackberry. There is a note of vanilla and spice on the finish, reflecting the 17 months this aged in oak. 92. C.C. Jentsch Small Lot Series Malbec 2014 ($49.90 for 84 cases). This glorious red begins with aromas of cherry and plum mingled with exotic floral, spice and white pepper notes. On the palate, the flavours of black cherry and pomegranate are framed by notes of vanilla and oak. 92.